Here at Deluxe Cruises, we are cruise specialists travel agents that can help you find your dream cruise that will give you an experience of a lifetime. We have all the big cruise liners in partnership with us such as Oceania and Crystal Cruises. Whatever type of cruise you are looking for, Deluxe Cruises has something for you. Give us a call on 01202 767926 for more information on our cruises. Everyone deserves to have the holiday of their dreams, and what better way to have the perfect holiday than on a cruise? Here at Deluxe Cruises, we specialise in all things cruises to provide you with the complete package to create that dream holiday you’ve always wanted. We are the best cruise specialists travel agents because we provide you with a clear and easy way to find the perfect cruise for you. We have a variety of different cruise liners available with us who all have different cruise ships that cater to all different themes and locations. At Deluxe Cruises, you can search by the theme you want, cruise liner, places you want to visit, dates and even a specific cruise ship that you want to be on board with. It couldn’t be easier to find your perfect cruise holiday. At Deluxe Cruises, we believe in having happy customers, therefore, we are always available to help you with any questions that you may have and to help you find the dream cruise that you’ve been looking for. What Cruise Liners Are on Board at Deluxe Cruises? Your cruise specialists travel agents can help you get in contact with all these great cruise liners. Many of the cruises with us are all-inclusive, therefore, you don’t have to worry about anything as it’ll all be taken care of for you. There are so many different holidays that you can go on, all with their own advantages and disadvantages and not every holiday will suit everyone. However, with cruises, there is so much variety for you to choose from that the possibilities are almost endless. When thinking about going on holiday, it can be hard to choose where to go to as there’s so much in the world to explore. With cruises, you can see a vast array of sights and destinations as you’re cruising through the waters. There are many different cruises that can take you through a few different countries at a time if you can’t decide where to go. At Deluxe Cruises, we even have cruises that can take you on a trip around the world on the seas. The great thing about cruises is that you’re looked after. When you go on holiday, you’ve got to figure everything out yourself, whereas, with a cruise, all the crew on board will be ready and waiting to serve you, so you never have to worry about where you’re getting food and where you’re sleeping. 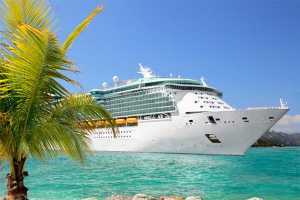 Overall, cruises are a great holiday if you’re worried about money, you can pay a one-off payment up front that includes food, accommodation, amenities, alcoholic beverages and more. You can get away with not having to pay another penny as everything you need is available to you. Standard holidays, you will have to pay for all your amenities and other luxuries separately. Visit Deluxe Cruises for the easy way to search for your dream cruise hassle free. You will find all our cruise liners offering cruises at reasonable prices. If you have any questions about any of the cruises and packages we have available, give us a call on 01202 767926 and your cruises specialists travel agency will be able to help you.